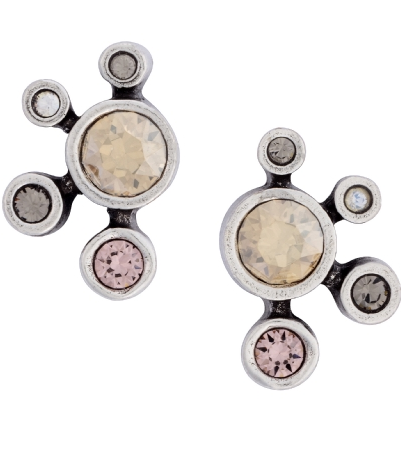 From The Singin' In The Rain Collection, this pair is in the Waterlily color way - 0.5" X 0.625" Patricia Locke jewelry is made of Antiqued 24K gold plate or sterling silver plate over pewter. The studio employs a wide variety of semi-precious stones, Swarovski crystals, glass beads and pearls. All ear wires are gold-filled or sterling silver and posts are surgical steel. There is no nickel used in Patricia Locke jewelry.